Dolores M. Maier, age 93 of Harrisville, passed away peacefully on Saturday, August 4, 2018 at Harris Villa Assisted Living in Westfield. She was born on March 22, 1925 in Madison to Richard and Inez (Anzinger) Barry. Dolores married the love of her life, Herbert J. Maier on June 17, 1950 in Madison. She worked at Rayovac in Portage for many years while she raised five children. 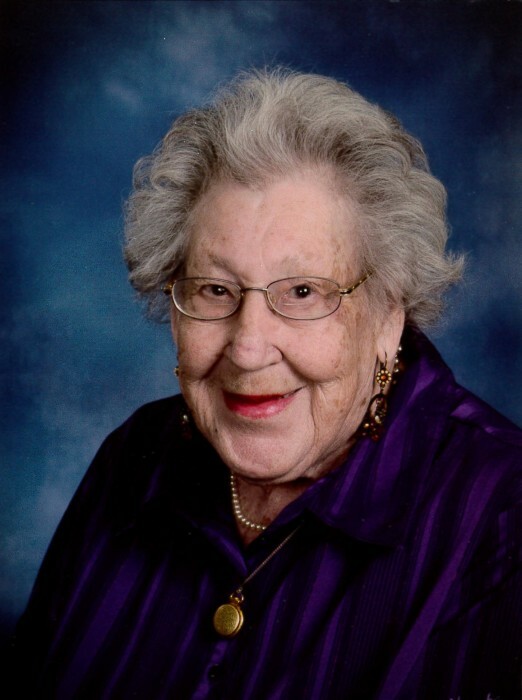 Dolores was a member of Good Shepherd Catholic Church in Westfield and the Red Hat Society. She was an avid bowler and Wisconsin Badger and Green Bay Packer fan. Dolores enjoyed swimming, camping, dancing, crocheting, playing cards and gambling. Survivors include her four children, Celeste (Joseph) Jerome, Herbert “Joe” (Lourdes) Maier, Nadine (David) Klapoetke and Tama (Ronald) Zuehls; 13 grandchildren; 20 great grandchildren; many other relatives and friends. Dolores was preceded in death by her parents; her husband; three sons, John, Barry and Teddy Maier; one brother, Theodore Barry; two grandsons, Travis and Brent Jerome and one great grandson, Ashton Zuehls. A visitation for Dolores will be held on Wednesday, August 8, 2018 from 5:00 to 7:00 p.m. and on Thursday, August 9, 2018 from 9:30 to 10:45 a.m. at St. John the Baptist Catholic Church in Montello. A Mass of Christian Burial for Dolores will be held on Thursday, August 9, 2018 at 11:00 a.m. at St. John the Baptist Catholic Church in Montello with Father Savio Yerasani officiating. Interment will be in St. Andrew Catholic Cemetery, Township of Buffalo, Marquette County. In lieu of flowers, a memorial in Dolores’s name will be established. Dolores’s family would like to thank the staff at Harris Villa for their exceptional care and support. Please take a moment to view the online guestbook. Send your condolences or share a memory of Dolores with her family & friends.